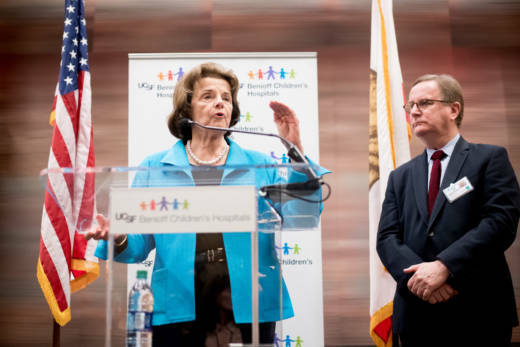 California Senator Diane Feinstein said Wednesday that she was "deeply concerned" by Anthem Blue Cross’s decision to reduce individual health plan coverage for some 150,000 Californians. "I’m unhappy, at first blush, and at second blush, I don’t understand it," she said in an interview with KQED. Anthem said it will withdraw from 16 of the 19 California regions it covers. This means more than half of Californians with an Anthem plan through the individual market -- or 153,000 people -- will have to find a new option. In an email to KQED, Anthem Blue Cross representatives said the shrinking individual market and changes in federal guidance were the reasons behind its decision to cover fewer Californians this year. These changes will not impact Californians with Anthem plans through Medicare, Medi-Cal and their employer, or plans purchased before March 2010 -- which are grandfathered in. Anthem representatives also said they'd "continue to advocate solutions that will stabilize the market to allow us to return to a more robust presence in the future." Feinstein said the change came as a surprise and she's puzzled by the insurer opting out of the large California market. "I'm really surprised to see this and deeply concerned." Anthem's announcement came as Covered California -- the state's health care marketplace -- on Tuesday released the 11 participating health insurers and its 2018 rates. Covered California said the average health premium would increase 12.5 percent next year -- but could double if the federal government stops providing key cost-sharing subsidies that help low-income consumers. Covered California said it needs to finalize rates by Aug. 31. Lawmakers in Congress have temporarily abandoned their efforts to repeal and replace the Affordable Care Act, or Obamacare, despite President Trump's urging them to keep working on legislation.